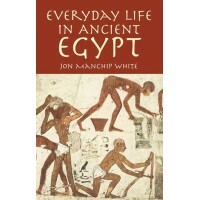 The Dwellers on the Nile remains among the most comprehensive and readable histories of daily life in ancient Egypt. 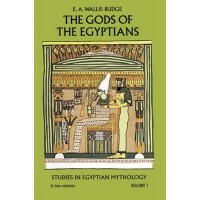 In addition to his 40-year career at the British Museum, Sir Ernest Alfred Thompson Wallis Budge was a prolific and popular author who specialized in books on ancient Egypt. 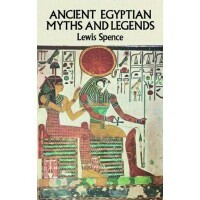 Covering the Egyptian family and school; furniture, jewelry, food and drink; society, work, and play; Egyptian religion and its numerous gods, temples, and priests; Egyptian writing — hieroglyphic, hieratic, demotic, and Coptic; literature, medicine, astrology, and alchemy. 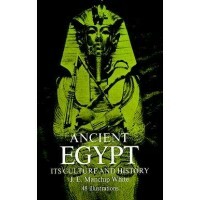 The book concludes with an exploration of practices related to burial of the dead and beliefs concerning the afterlife. 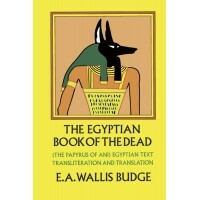 Using information from the excavations of tombs and excerpts from papyri, tomb inscriptions, and other sources, Budge brings to life the ancient culture of the Nile dwellers. 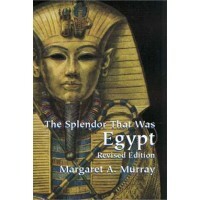 The text is profusely illustrated with many reproductions of Egyptian art and artifacts. The great wealth of detail, primary information, and original interpretation make this volume indispensable to students and other readers interested in classical civilization and comparative religion. Reprint of The Religious Tract Society, London, 1926 edition. Item Number: DO-235018 | Approximate Size (Inches): 5.50 wide x 0.50 deep x 8.50 high | Approximate Shipping Weight: 1.00 lbs.